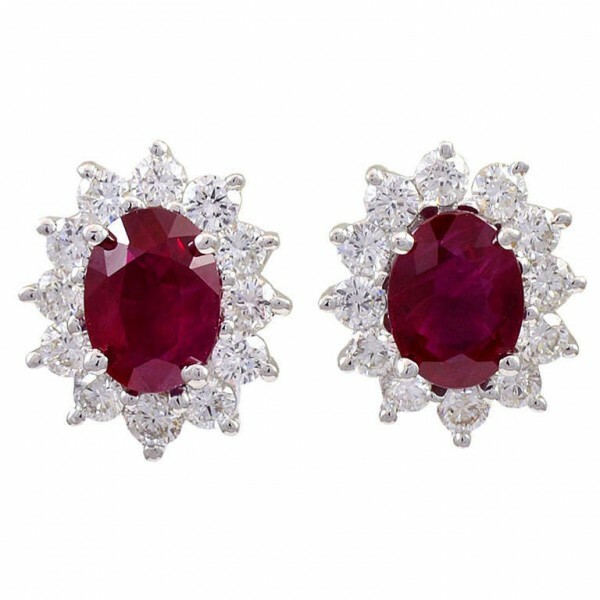 A gorgeous pair of ruby and diamond 18k yellow gold clip/post earrings. 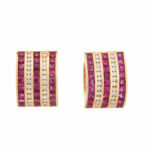 The rubies and diamonds are channel set in five alternating vertical rows. There are 54 square cut rubies, weighing an estimated 2.50cts, and 48 round brilliant diamonds, with an estimated total weight of 1.50cts, graded as G-H color, VS clarity.